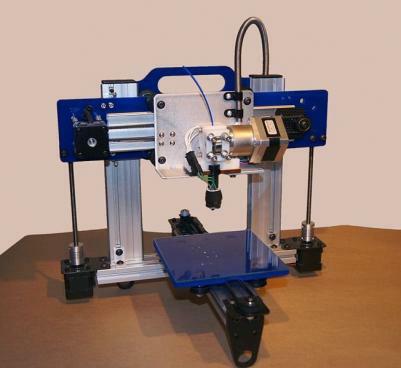 3D printing (or additive manufacturing) refers to a process in which a 3D printer is used for stacking layers of material under computer control, following a 3D model (or other electronic data source), resulting in a printed three-dimensional object. Various applications for 3D printing include design visualization and prototyping, metal casting, architecture, education, healthcare, entertainment and more. As 3D printing technology continues to evolve and develop, researchers imply possible biotechnological uses like bio-printing and computer-aided tissue engineering as well as retail manufacturing of custom end products which might change the face of commerce. A large number of 3D printing processes exist nowadays, differing mainly in their methods of layering and the materials that are used. Some methods melt or soften material to produce layers while others use liquid materials or thin layers of material that are cut to shape and joined together. 3D printing materials are varied, and include Thermoplastics, HDPE, Rubber, edible materials, clay, metal alloy, and more. New technologies, such as infusing carbon fibers into plastics, allow for a stronger, lighter material. Graphene, a single-atomic layer of carbon atoms arranged in a hexagonal lattice, is repeatedly dubbed a “wonder material” due to its immense array of uncanny properties like extraordinary conductivity, flexibility and transparency. 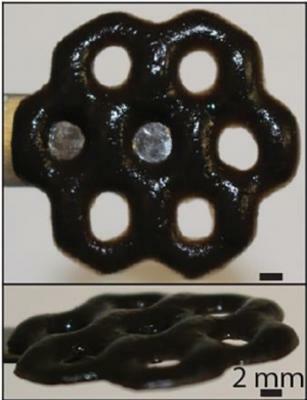 Graphene-enhanced nanocomposite materials greatly improve traditional materials used in 3D printing, like plastics. Graphene nanoplatelets that are added to polymers make materials that are mechanically stronger and with improved thermal and electrical conductivity. Graphene 3D Lab, a joint-venture between Graphene Labs and Lomiko Metals, is one of the leaders in this new market. The company's founder and COO, Dr. Elena Polyakova comments in an interview for Graphene-info on the advantages of graphene-based materials over current 3D printing materials: “Fused Filament Fabrication (FFF) -- a method of 3D printing in which filament is extruded layer by layer to create objects -- capabilities are currently bound by the offerings of filaments, which generally includes non-functional thermoplastics. 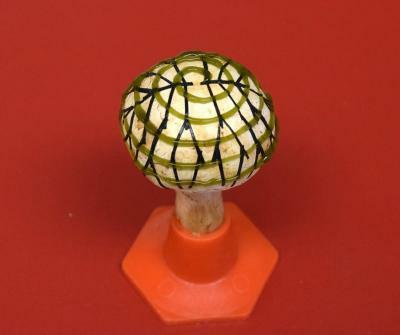 While such plastics are great for printing desktop models and fascinating gadgets, the real-world applications of printing with such filaments by themselves are limited. By creating a line of materials with functional properties, the capabilities of FFF 3D printers will be greatly expanded. By way of example, filaments infused with graphene can be conductive and much more durable than non-specialized filaments, features which are necessary for a host of applications. We also intend to develop filaments with other functional properties, including magnetic capabilities.” as per Dr. Polyakova's words, Graphene 3D Lab is funded to begin production of printing filaments in the near future, and is working towards a target of reaching commercial production around the first half of 2015. Graphene 3D Labs also plans to produce 3D printable batteries, based on graphene. These batteries can potentially outperform current commercial batteries, and will come in shapes and sizes that can be tailored to match the designs of specific devices. The company already unveiled a prototype battery in October 2014. In March 2015 G3L announced that it has launched commercial sales of its conductive graphene filament for 3D printing. The filament incorporates highly conductive proprietary nanocarbon materials to enhance the properties of PLA, a widely used thermoplastic material for 3D printing. The filament is therefore compatible with most commercially available 3D printers. In June 2015, the company announced the signing of a Memorandum of Understanding with Ideum, a company which develops large-scale smart-tables and walls. The agreement lays the foundation for joint research, product development, and marketing between the two companies. Graphene 3D and Ideum will evaluate and co-develop products by Graphene 3D which can be used as capacitive sensors to interface with Ideum's products. Graphene 3D will also begin commercial on-demand 3D printing of coasters, joysticks, and styluses which Ideum clients can use to interact with their smart-tables. For example, styluses of various shapes, 3D printed in Conductive Graphene Filament, may be used as brushes used in photo editing software to give a more hands-on feel to creative work done on an Ideum smart-table. Zenyatta Ventures has announced its plans to raise up to $3,000,000 CAD (around $2,240,000 USD) on a non-brokered private placement basis. The proceeds will be used for bulk sampling, environmental assessment and community engagement. Zentayya also provided an update on its graphene market development work ,which has led to the creation of five significant potential market verticals for the Company which include aerospace, biomedical, water treatment, transportation and civil engineering. Researchers at Brown University, the University of Wisconsin and the National University of Singapore have developed a way of reinforcing hydrogel materials made from alginate, a natural material derived from seaweeds that’s currently used in a variety of biomedical applications, by incorporating graphene oxide into its structure. This produces a material that can be 3D printed into structures that are stiffer and more fracture resistant than alginate alone - an important achievement as alginate tends to be fragile and thus hard to work with. Furthermore, the material is also capable of becoming stiffer or softer in response to different chemical treatments, meaning it could be used to make “smart” materials that are able to react to their surroundings in real time. In addition, alginate-GO retains alginate’s ability to repel oils, giving the new material potential as an anti-fouling coating.